Love craftsmanship and don't fight Nature. 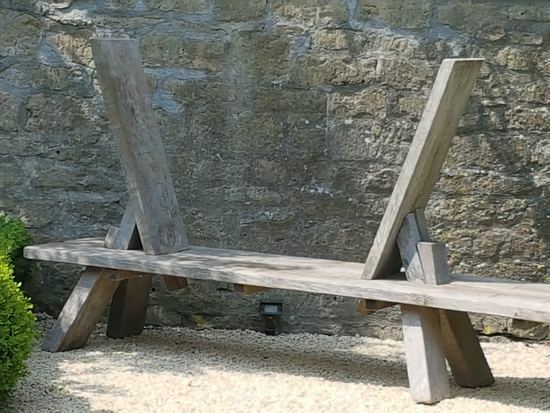 With gardens becoming ever more important to us, Marnie has been developing a collection of long-lasting garden furniture. She uses locally grown oak. for reasons of ecology and longevity and of course its beauty. She has reflected our nations pleasure of nostalgia with original and contemporary designs. The work is sturdy and heavy enough tolerate our elements for many years. She uses it green because green oak has the most spirit and will move the most - added greater uniqueness to her work. 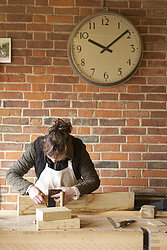 No shiny finishes are applied and Marnie expects her work to become better with time and use. When commissioning hand made furniture, the circumstances for returns are extenuating.